Welcome to Train Station Studio! My name is Chris Ursitti and this is my new site that focuses on my digital art and animation work. At this point, until I build it out, this site will be my Central Station that will link you to places on the web where I have blogs and galleries of my prints and commercial video work. I have been working with computers to create art since 1999. Prior to that, my focus had been on pastel and oil painting with a deep interest in photography. I always had a curious fascination with computers, but I admit it was very difficult, at first, to sit down at one. Well, it's 10 years later and will now say it's been one of the most incredible learning and creative journeys of my life. Thank you for visiting and please explore the links that are on the various pages of my Train Station Studio site. I do live and work in an old train station. Built in 1902, it was part of a line that ran from Kingston to New York City. It's a special place and has provided me with great inspiration over the years. The studio is located in the rear old baggage room which has nice tall ceilings and open beams. I often think about all the people and luggage that moved through these old rooms over the years...I call it Animation Station!! Fractal Illuminations includes two Ursitti compositions, Fractal Illuminations and The Magic Lantern, both with original 7.1 scores composed and performed by Chris Martyn and Geoff Harvey. 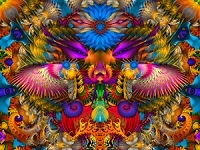 Explore the meditative and illuminating side of evolving fractal art. This project is his third Scenic Labs collaboration, and it features some of the most complex textures and transitions ever presented. 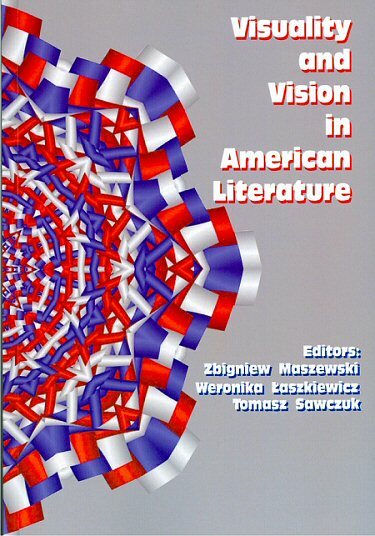 for the cover of the text book Visuality and Vision in American Literature. Here is a short preview of Chapter 1. Fractal Illuminations will have 2 chapters with a running time of about 72 minutes. Both chapters are a departure from The Fractal Plane, rendered with slower motion creating a more dreamy visual packed with fine details of the designs. 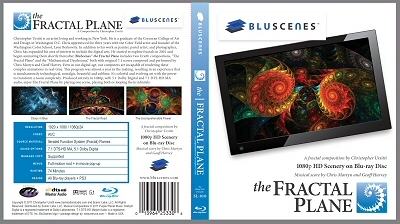 BluScenes: The Fractal Plane includes two Ursitti compositions, “The Fractal Plane” and the “Mathematical Daydreams,” both with original 7.1 scores composed and performed by Chris Martyn and Geoff Harvey. Even in our digital age, our computers are incapable of rendering these complex animations in real-time. This program was almost a year in the making, resulting in an experience that is simultaneously technological, nostalgic, beautiful and sublime. It's colorful and evolving art with the power to transform a room completely. 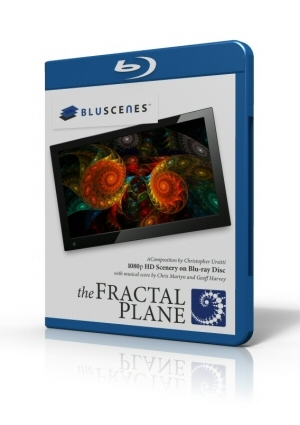 Produced entirely in 1080p, with 5.1 Dolby Digital and 7.1 DTS-HD MA audio, enjoy The Fractal Plane by playing one scene, playing both or looping them infinitely. Click on images above to visit BluScenes website to purchase The Fractal Plane. 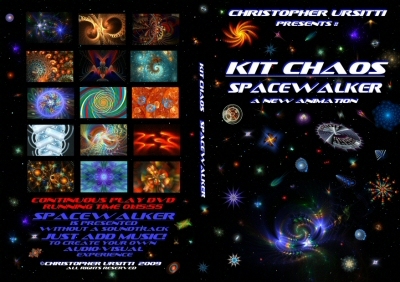 KIT CHAOS SPACEWALKER DVD PROJECT! started working with IFS animation in 2002 and, soon after, began working with Scott and the Electric Sheep Project, (a global art and animation project that I will write more about later), working first as a designer, and currently as a project administrator. My dream was to eventually present a solo visual album of my most intriguing designs. Around the same time, I became friends with Erik Reckase who also designs and writes the code for Flam3, the powerful command-line rendering engine used for the animations. Erik was responsible for patiently teaching me so much over the years through our IMs, from the learning of command-line rendering to Linux. With these new tools and much encouragement, my project evolved into "KIT CHAOS: SPACEWALKER" . I'm sending out a big thanks to both of them! I created Kit Chaos as my web handle in 2004, posting my Electric Sheep designs and my digital compositions at several digital artist sites under that name. Creating a pen name was very liberating for me as an artist and opened me up to a new world of creative possibilites. So, I'm happy to present Kit Chaos' latest adventure, "SPACEWALKER".